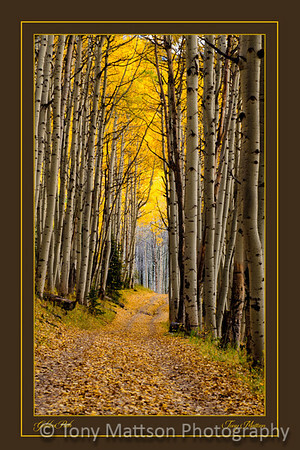 Taking you down a quiet path in the tall aspens. Contact Tony Mattson to order this print on aluminum. You won't believe the intense colors!